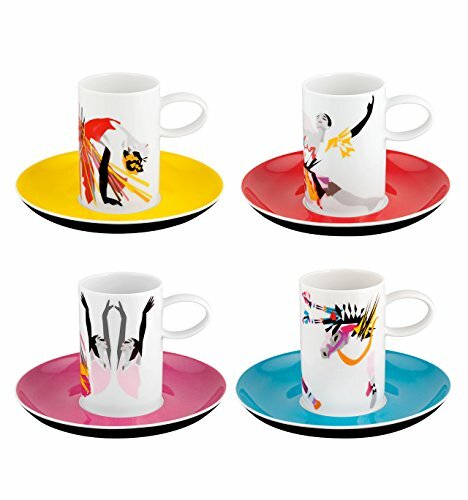 VISTA ALEGRE - Tchaikovsky (Ref # 21112533) Porcelain Set of 4 Espresso Coffee Cups & Saucers - Set 4 Coffee Cups & Saucers Tchaikovsky. In honour of one of the great composers that marked the Romantic era in the history of music, Vista Alegre presents the Tchaikovsky Collection, created by designer Catarina Pestana. * Use restrictions: Microwaves safe. Not suitable for microwaves. Not suitable for dishwasher.